Hide deals from seller "Preferred Dental Spa"
Hide deals from category "Dentists"
Limit 1 per person; may purchase 5 additional as gifts. Valid on dental exam, X-rays and cleaning. Not valid for patients with periodontal disease. New customers only. By appointment only. Cancellations require 24-hour notice or $35 fee may be applied. Not valid for beneficiaries of Medicare, Medicaid or State Assistance Benefit programs. Must bring voucher and valid ID to appointment. Promotional value expires 60 days after purchase. Brighten and protect your pearly whites with 86% off a dental exam, four bitewing X-rays and a cleaning at Preferred Dental Spa, available at multiple locations throughout Chicagoland ($290 value). 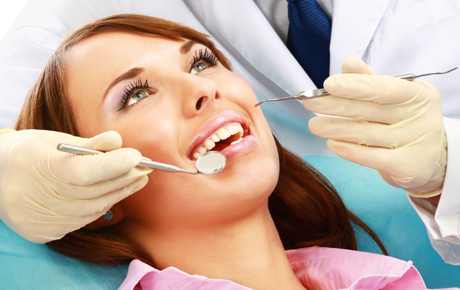 Dentists use state-of-the-art equipment and boast comfortable, relaxing office settings. Preferred Dental Spa strives to build a foundation of trust by connecting new patients to participating dentists where they can expect a friendly, hassle-free experience and gentle, genuine care. Enjoy sparkling results and establish a relationship that will satisfy all of your dental needs. Your connection to personalized dental care in a relaxing atmosphere.